I'm sure you've heard by now that Kingsisle release a Vine Video of a Witchdoctor's Lab. Lately, Kingsisle has released a lot of spoilers of things that will be released on this game and this makes me think of all of the other spoilers they released in the past few months. Could this recent spoiler be related to the other released, Completely Barmy, or just something on it's own? I have that feeling a new main world is going to be released soon but it makes me think that all of the spoilers Kingsisle has been releasing are spoilers that will be released with a main world. I'm really wondering what the Witchdoctor's Lab could be. A few pirates around the spiral think it could have something to do with crafting or housing (if that's so, all schools might have a lab or house- maybe). I'm thinking it could have something to do with crafting but we won't know until it's released. I guess we'll have to keep looking at that vine until it's released.. Ah! I can't wait until Kingsisle releases all of the spoilers. I love spoilers, they always excite me for the next update to the game. What do you think KI is planning on releasing? 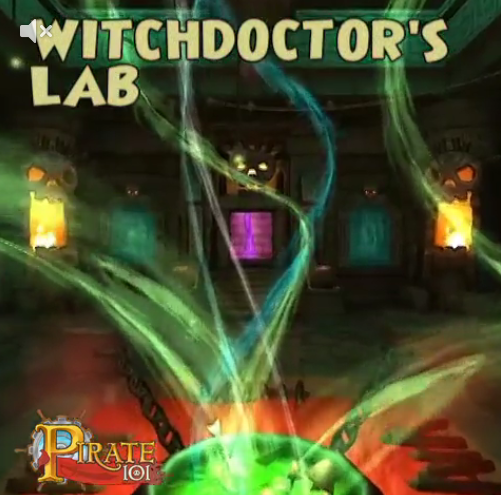 Do you think this Witchdoctor's Lab could have something to do with all schools for crafting? Or could it be something more, like new additions to Avery's Court? Let me know what you think.